What’s your classical music “guilty pleasure”? This is a question all classical music devotees must answer at some point. Let’s define what a “guilty pleasure” is. A guilty pleasure has little artistic merit but has a strong entertainment value. If we were speaking of movies, a guilty pleasure would be a movie such as Antman or Dumb and Dumber. One’s guilty pleasure will evolve over time. Once upon a time Mahler’s Symphony No. 2 was my end-all-be-all of symphonic expression. Over the past 25 years, it has gradually slid into the guilty pleasure zone, for me. There are some pieces of music which I can’t even listen to anymore. With this in mind, I give you two lists. List number one is former guilty pleasures which I can’t even listen to anymore. Piotr Tchaikovsky: 1812 Overture. This piece of music was my gateway drug into classical music at the tender age of 10. It no longer appeals to me. It didn’t appeal to Tchaikovsky either. Bedrich Smetana: The Moldau. This scenic tone poem about the Vltava river in Bohemia was once blasted via a Discman connected to my car stereo via a cassette adaptor. I no longer have the disc, the Discman, the car or the care to hear this piece of music again. Jean Sibelius: Finlandia. This is the third tone poem in a row. Franz Liszt: Les Preludes. Yet another tone poem. Anything by Franz von Suppé. Richard Wagner: “The Ride of the Valkyries”. If I’m listening to the entire opera, from which this piece is unceremoniously ripped, I’ve no issues with it. Otherwise, I’m no longer riding with Brünnhilde. Franz Schubert: Ave Maria. Why would I listen to this song when there are over 600 other songs which Schubert wrote? Georg Frederick Handel: The Messiah. 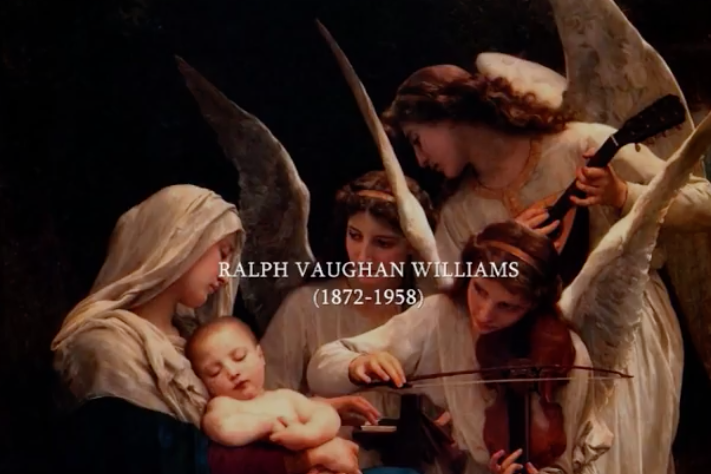 My go-to Christmas selection is now Vaughan Williams’ Hodie. We’ll see how long that lasts. List number two is music I can still listen to but I feel guilty because I’ve listened to it so many times. Gabriel Faure: Requiem. Should I have the option to sing this piece, I’m all in but I just can’t listen to it without guilt. Giuseppe Verdi: Requiem. I think I would actually pay to sing in the Verdi Requiem again but the guilt I feel, when listening to it for the enteenth time, is Catholic in its scale. Giacomo Puccini: La Boheme. I’m not sure I’d even go to a production of La Boheme at this point unless the casting was spectacular. Anton Bruckner: Symphony No. 4. I know, I know. I’ve claimed that Bruckner is my favorite composer. That doesn’t mean I feel no guilt. Dimitri Shostakovich: Symphony No, 5. If Shostakovich had actually been dragged off to the Gulag I would feel less guilt in listening to this popular symphony. Ralph Vaughan Williams: A Sea Symphony. Upon hearing this music for the first time it felt as if all my 20-year-old dreams about music had come true. Now I feel the guilt of middle-age and lowered expectations. March 29, 2019 @ 8:02 p.m.
Rachmaninov’s piano concertos. I know they’re extremely over-the-top, emotionally bombarding, and they have somewhat lost their appeal over the years, but I still enjoy them.